There are lots of ways to get inbound links to your church’s website. Below is a list of link building strategies to get you started. It certainly isn’t an exhaustive list, but it can get you moving in the right direction and help give you ideas. If you belong to a denomination or association of churches, make sure the main denomination/association website has a link to your church’s website. Most denominations have an online directory of sorts, so you will probably be able to simply request that your church’s site be listed. Even better than just being listed in the directory would be to see if you can get a special feature or story posted on the site about your church. There may also be regional divisions of the denomination such as districts, states, or dioceses. Get a link on every one of those sites. These are especially good links to get because they are extremely relevant and denomination/association headquarter websites tend to be seen as authoritative sites by the search engines. See if other churches will link to your church’s site. This is especially probable from other churches within your denomination or association, but any church may be willing to link. If they ask for you to link back to their site, don’t be afraid to do that. These can be sites that offer church supplies, church related services, help setup and promote church events, etc. If you contact them via email, be sure to send a personalized message which shows you are familiar with the recipient’s website/organization. Of course, emails are not the most personal form of communication. A phone call or even a visit (if they are local) can be very effective. Be sure to address specific reasons why it would be beneficial for them to link to your site. One of the best ways of doing this is by offering to give them a testimonial if you use their product/service. Unlike most companies, churches have a built in support base. People who not only like the church but want to actively support the church. Your members may have personal sites, Facebook and Twitter profiles, or company websites where they can put links to your church. They want to help, so don’t be afraid to ask. This may be something like starting a food bank, becoming a Salvation Army drop-off location, or hosting midnight basketball. These are services churches and businesses can support regardless of denomination or religious affiliation, broadening the spectrum of websites that are willing to link to you. Professional services can also be effective. Most churches already offer wedding facilities. If you have a gym or fellowship hall, you could make the facilities available for people to rent. Spread the word around town to event planners and other organizations and ask them to link to your church. Hold a concert at your church or bring in a special guest speaker. Host a conference or charity event. It’s natural for people, companies, radio stations, etc. to link to the website of the place hosting and event. So, you probably won’t even need to ask people to add a link. This is both the easiest and most difficult way to get links, depending on how you look at it. It’s easy because you don’t actually do anything specifically trying to get links. The idea is that if your site has enough great content, people will want to link to your site without you having to even ask. On the other hand, it can be difficult to create great content. Most churches don’t ever even think of offering great content on their site. They limit their site to announcements and general info about the church, but you can also have Bible studies, topical resources, online tools, and other content available on the church’s website. The extra benefit of this strategy is that it not only can generate links, but it also keeps visitors coming back giving you lots of return traffic and gets more people to visit the church. Most cities have at least some sites dedicated to information about the city. Some examples would be the city’s Chamber of Commerce, sites listing local places of worship, tourist information sites, etc. 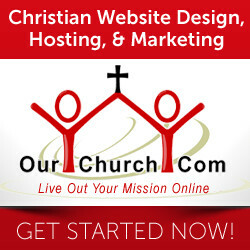 The purpose of these sites is to list websites and locations like your church. So, you have a good chance of getting a link. In addition to just getting an extra link, links from these types of sites also reinforce to the search engines that your church is from that city. That helps you to rank better for local keywords. This can be a lot of fun and have a great message. Videos, especially, can be a great youth group activity. Done right, you can create what’s called a viral marketing campaignwhere people find your content and tell others about it. Those people tell their friends who tell their friends, etc. If successful a viral campaign can generate thousands of links in a very short amount of time. Blogs are a great opportunity to have an ongoing source of fresh content for your church’s website and create a way to connect with church members (and non-church members) throughout the week. I highly recommend everything church have a blog if you have a church member(s) who want to keep it up regardless of link building, but it’s a great way to build links as well. If you specifically want to use the blog for link building, be sure to write about topics that are interesting to a wider group of people. These are just some of the link building ideas that can be effective for churches. All of these ideas are pretty straight forward and relatively natural, but there are a lot of other link building ideas out there, some of which should really be avoided for one reason or another. 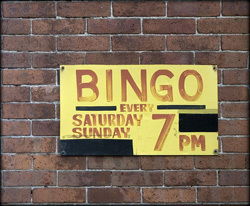 So, what are the 5 link building strategies that should be avoided? What other link building ideas do you have? Share them. What strategies have worked for your church? The 10 ways of link building strategies what you have mentioned here that is perfect. I think it's a great option to increase popularity.